When a typhoon hit China – forcing the evacuation of 513,900 people – the dogs of the Fu Zhou Small Animal Protection Centre were almost lost in the confusion. Animals Asia’s Cat and Dog Welfare Team came to their rescue. The typhoon in the beginning of August had left many of the dogs with injuries and contributed to sickness, and destroyed the roofs of 16 dog shelter buildings. Nearby parts of China saw their heaviest rains in 30 years. The first thing that Animals Asia did was to help rebuild the shelter, and make it a home again for 300 animals. They replaced the dog shelter’s ruined roofs, and put an extra layer of shade cloth netting overhead. They rebuilt the paths to the shelter, so cars could get in and out. Then in mid-August, 2,000 km away, another catastrophe occurred – and again Animals Asia’s Cat and Dog Welfare Team were there to make a difference. 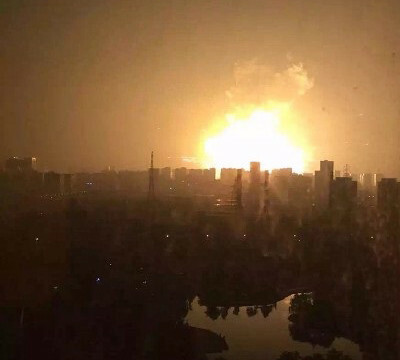 In the major port city of Tianjin in north east China, a series of chemical explosions led to uncontrollable fires that left 165 people dead, causing widespread panic. In the rush to evacuate the area this disaster occurred in, many pets were left behind. While the human cost and scale of the tragedy made worldwide headlines the animal victims went largely unreported. Coordinating with two local animal rescue organisations, Animals Asia instructed volunteers in “large scale animal rescue” protocol. They also provided humane trapping cages for the terrified cats and dogs left behind. 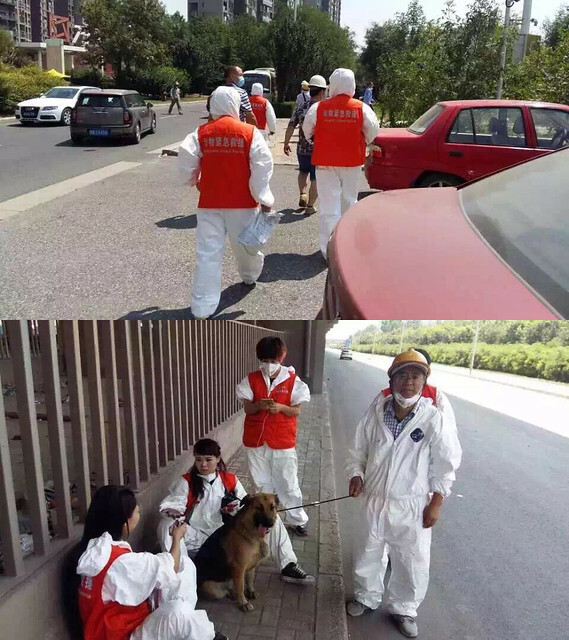 The volunteers swept through the affected area, finding cats and dogs left homeless by the disaster. Altogether, this rescue operation saved 60 dogs and cats – many of them reunited with worried families. “We work locally with over 100 grassroots cat and dog welfare organisations – and helping out in these kinds of emergencies is one of the reasons we’re here. We’ve dealt with these types of situations before, so when a regional disaster occurs we’re well prepared to offer help and counsel to those on the ground.